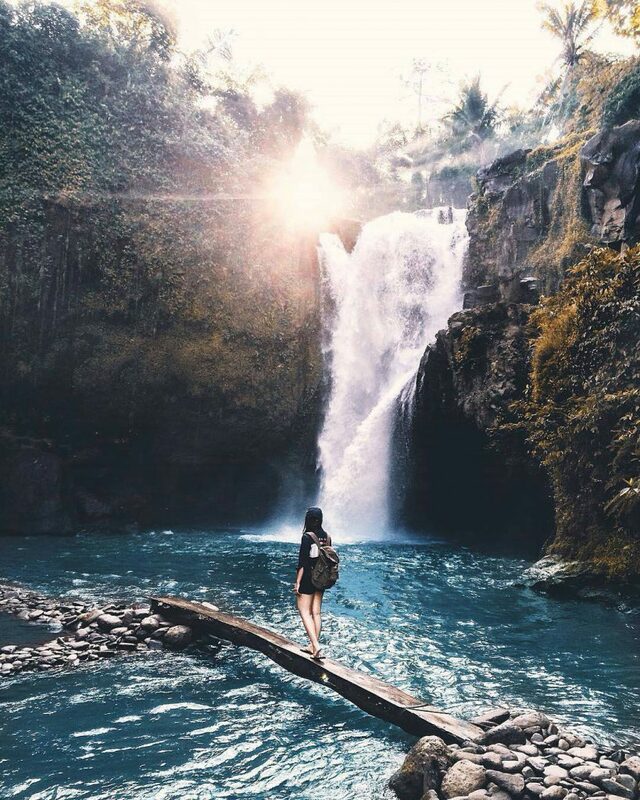 There’s a 35-meter natural rock slide leading to Aling-Aling Waterfall, which is located in Sambangan Village, Buleleng (nearly 3 hours from Denpasar). Guests need to follow steep road and winding path for a while before reaching the fall, but the destination is truly worth the journey. Water falls from steeper cliff which is surrounded by higher cliffs and pours into an azure natural pond which looks like a hidden lagoon. 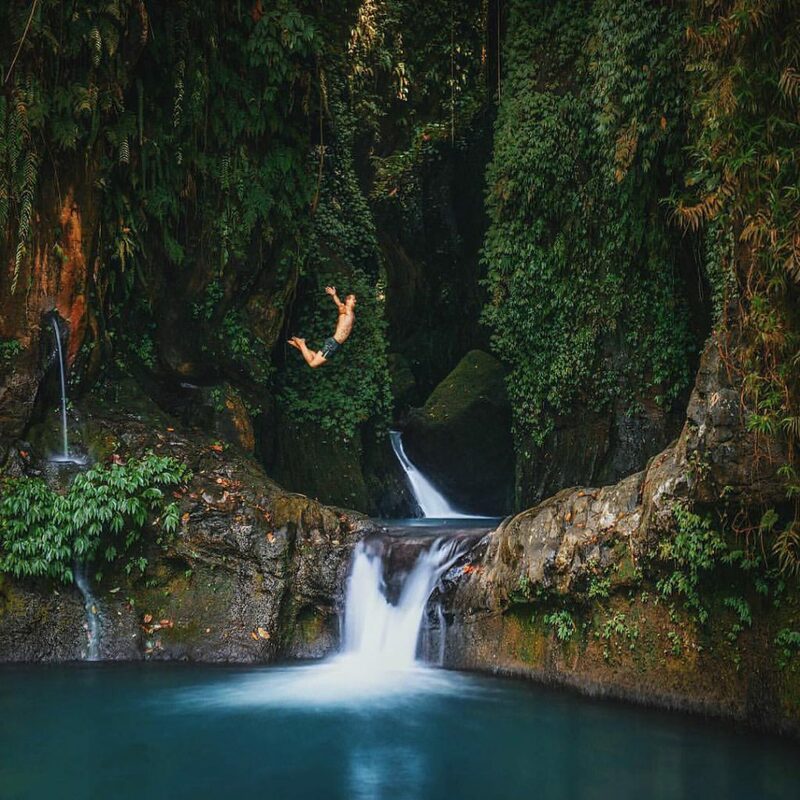 The sensation of sliding down Aling-Aling waterfall into the total indulging plunge pool below is second to none. 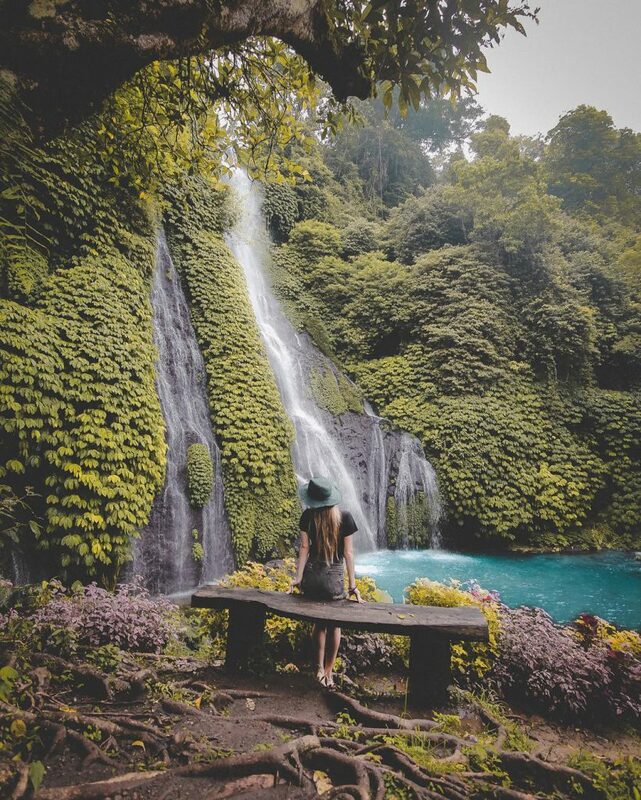 Possibly, GitGit is Bali’s most well-known waterfall as a mainstream tourist attraction due to its highly accessible location. There are art shops nearby and myriads of small cafés signifying the fall’s popularity among tourists. The waterfall is 35-meter tall and is surrounded by local woods which becomes home for endemic monkeys. 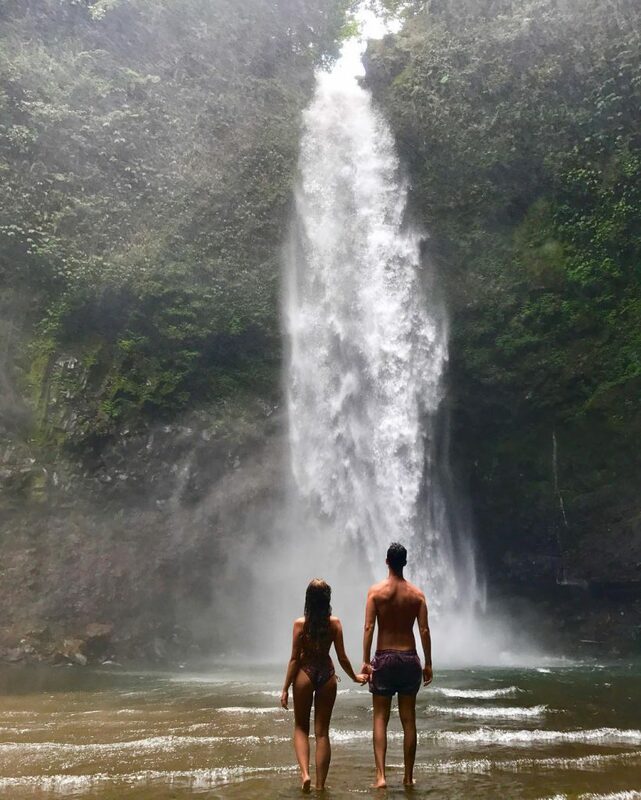 The most intriguing thing about this waterfall is the myth saying that lovers who bathe together under the fall will separate sooner or later. 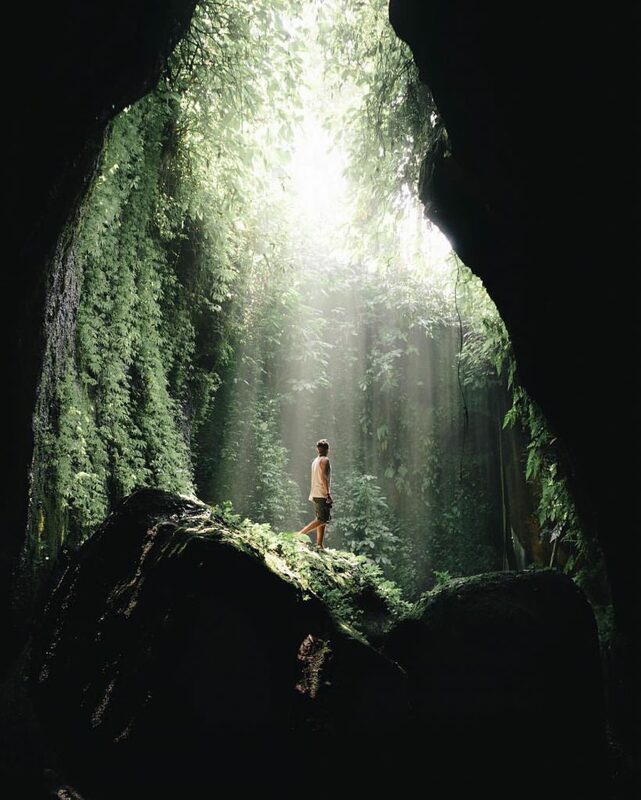 Hidden from the outside world, Banyumala is a gift from the Earth to those who really listen and go the extra miles for serenity. 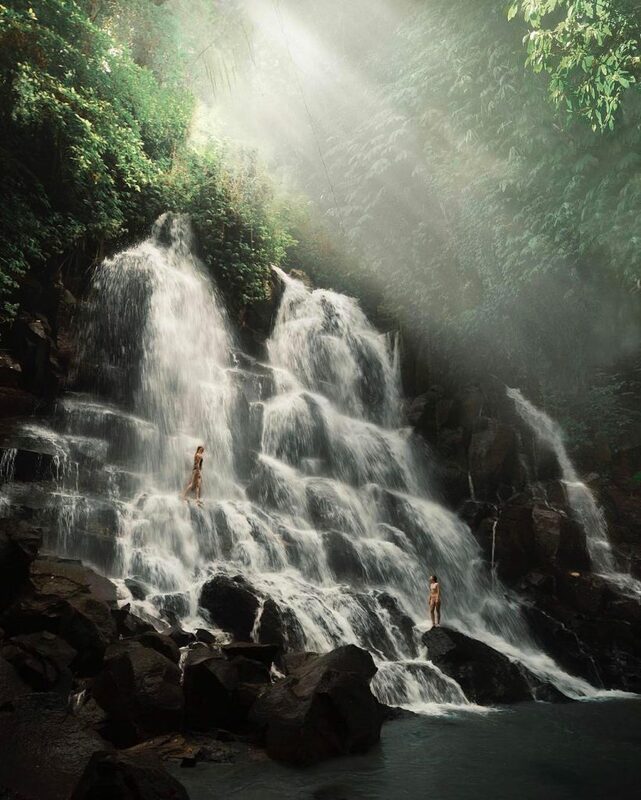 Located in mountainous part of northern Bali, Banyumala hides away not two idylls, which conjoin in creating twin streams, at the same place. 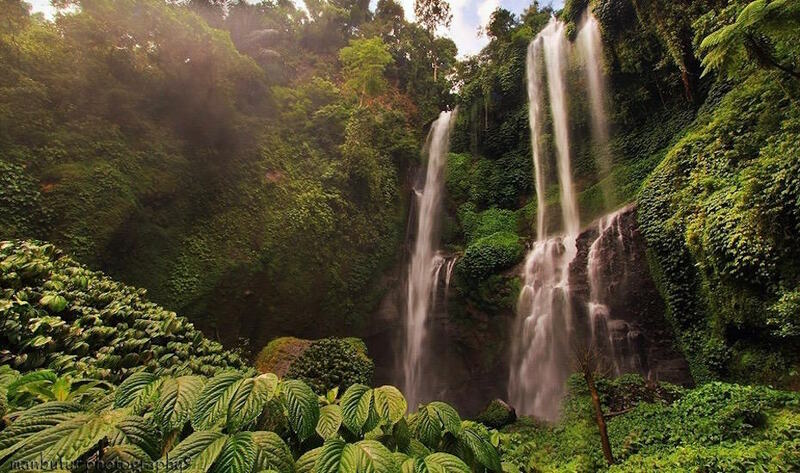 Water cascades down through rocks adorned with greenery from the surrounding jungle. 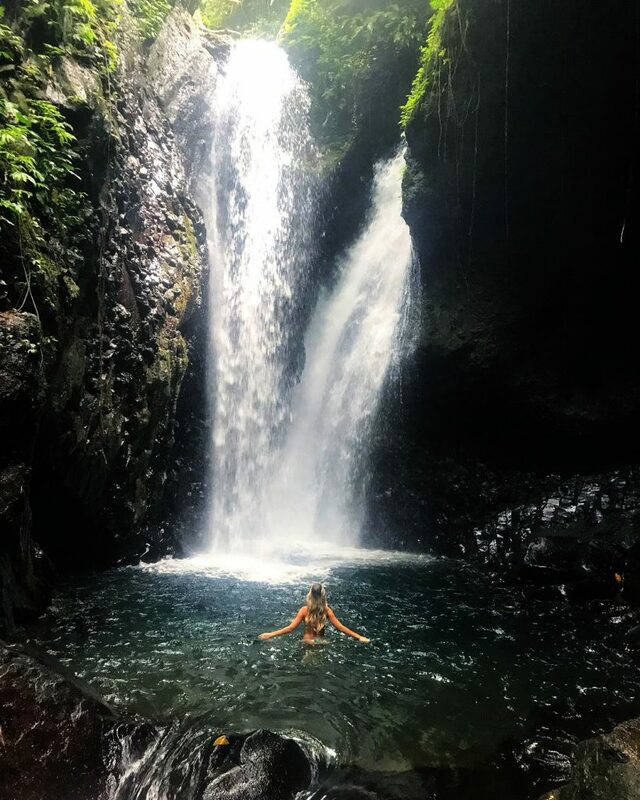 There’s a natural plunge pool below the falls for visitors to soak a little. Since it is hidden away, there’s barely tourist around, you can make this your personal sanctuary.